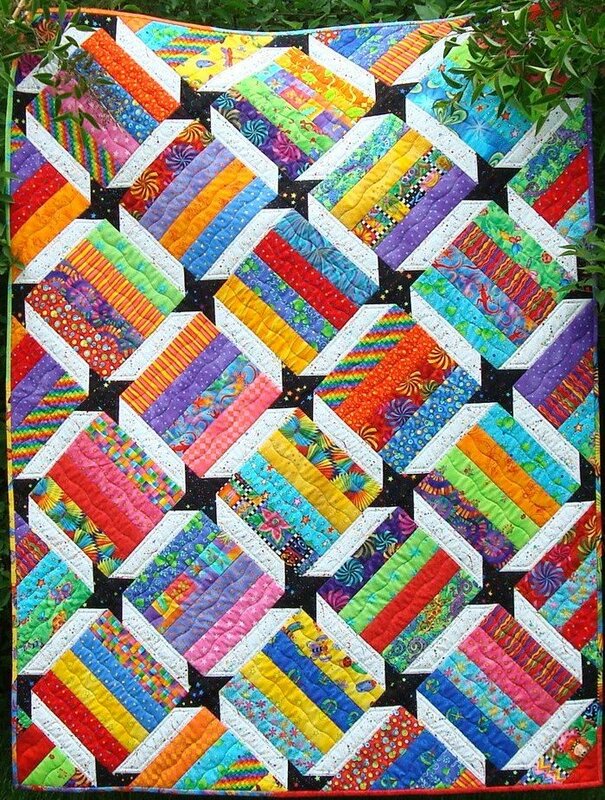 This is a very simple quilt to make. The blocks are separated by sashings which form the stars. You can make as many stars as you want or as few. Goes together fast and you can use up your scraps or yardage requirements are provided.